“Welcome to My Hometown!” I’m a life long native of Beautiful Blue Ridge, GA in the North Georgia Mountains – conveniently located just over an hour from Atlanta, but tucked away from it all. With gorgeous mountain views, breathtaking lakes & rivers, and abundant USFS land for the outdoorsman, it’s the perfect getaway. The historic downtown offers quaint shops & coffee houses as well as a scenic railway & well-equipped marina….and most importantly, small-town Southern Hospitality. Allow me to show you all that the North Georgia Mountains have to offer – whether you’re seeking a full-time home, investment property, or that much needed weekend escape. I love living in Blue Ridge with my husband and three children & being involved with the community. Prior to becoming a realtor, I helped to manage my family’s land development business and worked with house plan design, both of which have played an important role in my real estate business, providing me with an insight to necessary planning & permitting, construction process and what to look for when purchasing a resale. Please take a moment to visit my website and see just what our area has to offer – Mountain View and Waterfront Cabins and Homes, Lots & Large Acreage Tracts…..the possibilities are endless and there are great deals to be had. I maintain a relationship with the local lenders, which provides me with information on the latest foreclosure and short sale properties…….and I work alongside distressed sellers to help find buyers for their properties. Why not work with someone who knows the market, the area & the people! To view area information as well as info, pictures and virtual tours of all of my listings, please visit my website or call today! Be sure to check out the foreclosures tab and sign in to receive “no pressure” information at your request. 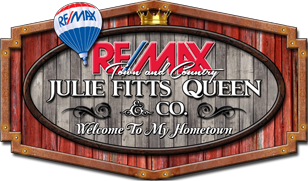 I’d love to be your Realtor!